G’day adventurers and me mates! After adventuring Down Under twice, I have only scratched the surface of Australia’s fascinating landscapes. On my trips, I covered Sydney’s Bridge Climb, the Blue Mountains, Ayers Rock, and the Great Barrier Reef. However, I didn’t get to even a third of what I wanted to see. That’s why I enlisted the help of Sam, a fellow travel writer and adventurer, to highlight some of the most photogenic locations in Australia. Sam, the floor is yours! Take it away! Australia is one of the most exquisite and picturesque continents on the planet. Still, a considerable portion of it remains an enigma to the rest of the globe. This big country is blessed with numerous pristine beaches marvelous deserts, beautiful mountain ranges, dense forests and beautiful valleys. Well then, here are the most photogenic locations in Australia that you must see in your next vacation Down Under. The larger portion of Australia is, for the most part, characterized by beaches and the arid outback, but here and there, you will find lush tropical rain forests including this one. 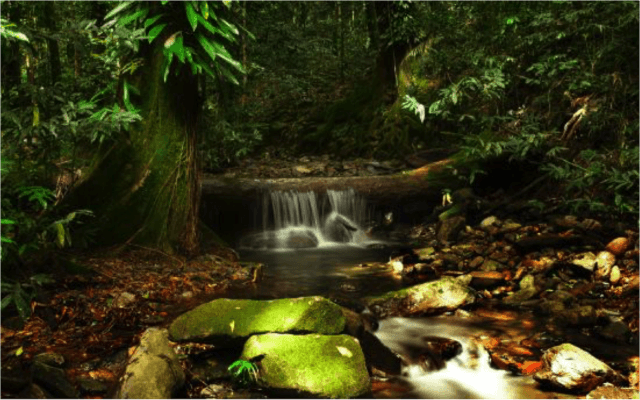 The Daintree Rainforest lies along the Daintree River on the Northeastern coast of Queensland, and its ecosystem teems with so many excellent photo opportunities. You will get to marvel, up close, at its different species of plant life, bird species, mesmerizing waterfalls and deep gorges, all located in a single area. 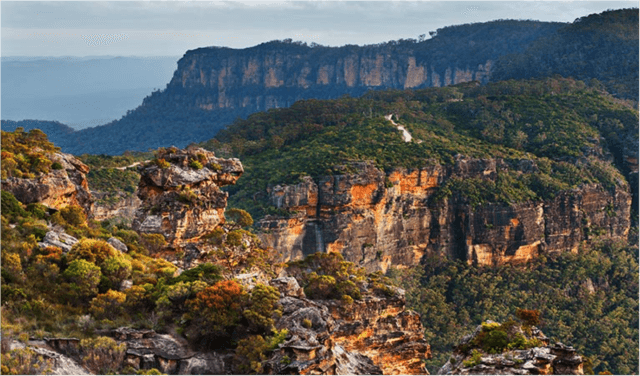 Situated in New South Wales, the Blue Mountains are akin to a very interesting geographical marvel. These mountains are upraised, well above sea altitude, and feature rugged cliffs along with luscious gardens. 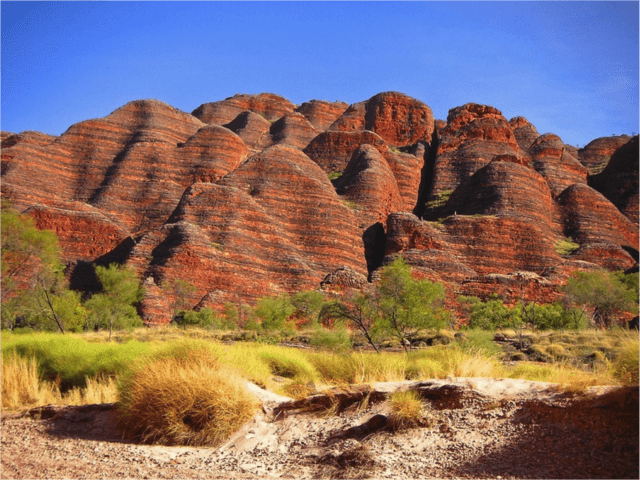 It is important to note that quite a big number of Australians prefer this given region as the perfect serene getaway from the hustle and bustle of everyday living. The photogenic landscape can make for good fodder for photo-centric online social networks posts such as on Instagram and Pinterest. 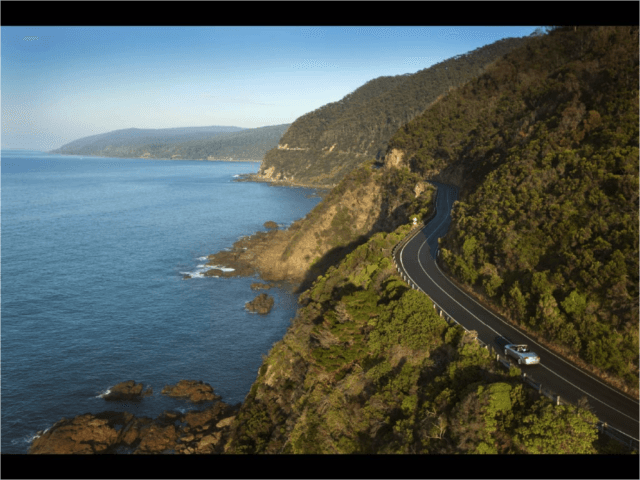 The Great Ocean Road stretches along the South Eastern coast of Australia. This is an extremely picturesque route, which will let you observe several interesting landmarks in this region. Some of the most notable include the 12 Apostles (ancient limestone rock formations), a variety of waterfalls, jagged cliffs, and even surf breaks. All of which will be able to present you with excellent photo-taking opportunities. These are very curious rock formations that are located in the Western region of the Australian continent. They are highly acclaimed for having taken rounded forms at their summits, which makes them resemble gigantic beehives from afar. Besides the interesting rocks, you will get to revel in the beautiful background featuring the immense sky above and golden plains beneath. All of which when combined can make for an extremely visually striking scenery. Situated on Whitsunday Island, Whitehaven Beach offers a glorious 7 km long coastal stretch, which is characterized by the unspoiled scenery. Granted, there happens to be a large number of beaches dotted all over Australia, but this one is certainly the most pristine you will ever find. 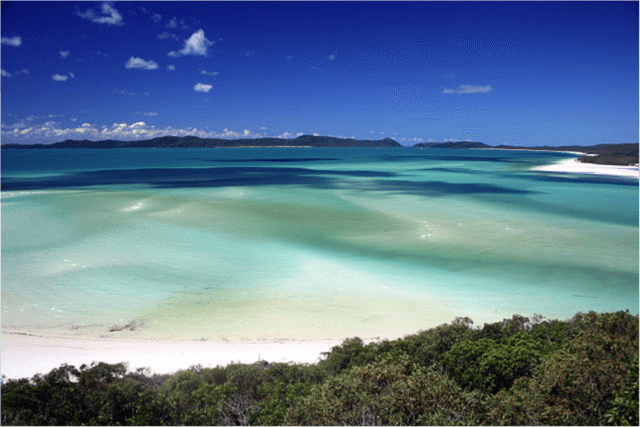 Indeed, Whitehaven Beach has for a long time been regarded as one of the top 10 most beautiful and unspoiled beaches on the planet. The Great Barrier Reef, located in the state of Queensland, off the shores of the continent, is, without doubt, the biggest structure made of living organisms in the entire globe. To aptly describe its extensiveness, it can be clearly seen even from outer space. Stretching an enormous 2,300 km in length, the Great Barrier Reef’s ecosystem is made up of thousands of reefs and countless islands, which have been formed from soft and hard coral. This Australian natural wonder is home to countless numbers of colourful fish species, starfish, turtles, molluscs, dolphins, and of course, sharks. The Great Barrier Reef can be best appreciated from an aerial position in a helicopter, which will also present you with marvellous photo-taking opportunities. Lake Hillier is yet another visually striking natural wonder in the Australian continent. For starters, its curious ‘bubble gum’ pink waters will definitely leave you spellbound the very minute you see it. While, at the same time, presenting you with excellent photo opportunities at every turn you take. In essence, Lake Hillier happens to be a saline water body that lies on the edge of Middle Island. Middle Island is the biggest island in the Recherche chain of islands, which are situated in the Goldfield Esperance area of Western Australia. The causes for other pink coloured lakes such as close by Pink Lake and Senegal’s Lake Retba have been confirmed. On the other hand, Lake Hillier’s unusual colour still remains an enigma. One of the theories put forward to explain this natural phenomenon is high saline levels and the presence of a salt-eating algae and pink bacteria. Another interesting thing about this lake is its colour remains the same all year round. This is unlike other similar water bodies whose colour alternates regularly due to temperature changes. Situated on the South end of Bondi Beach, Bondi Icebergs is an iconic landmark of Sydney, and has been the ultimate area for winter swimming ever since 1929, and can present you ideal picture-taking opportunities. Broome, situated in West Australia, brims with culture and diversity. Whether you opt to take a camel ride along Cable Beach, view Kimberly or take a shot of the mesmerizing sunset, Broome can offer excellent photo opportunities.